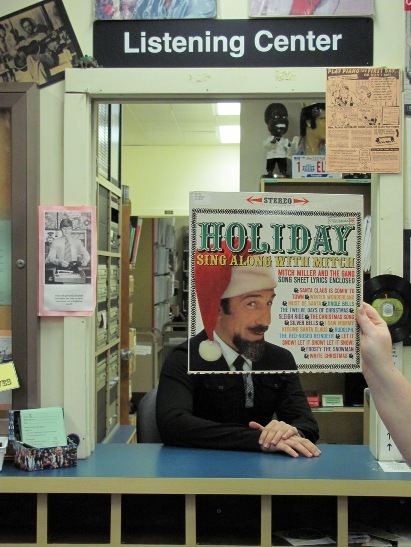 On the first day of Christmas, Mitch Miller lent to me, a pair of headphones and an LP. In this photo: Mitch Miller and the Gang, Michael Lee and Susannah Cleveland. Photo by Liz Tousey. This entry was posted in Pop and tagged Mitch_Miller. Bookmark the permalink.